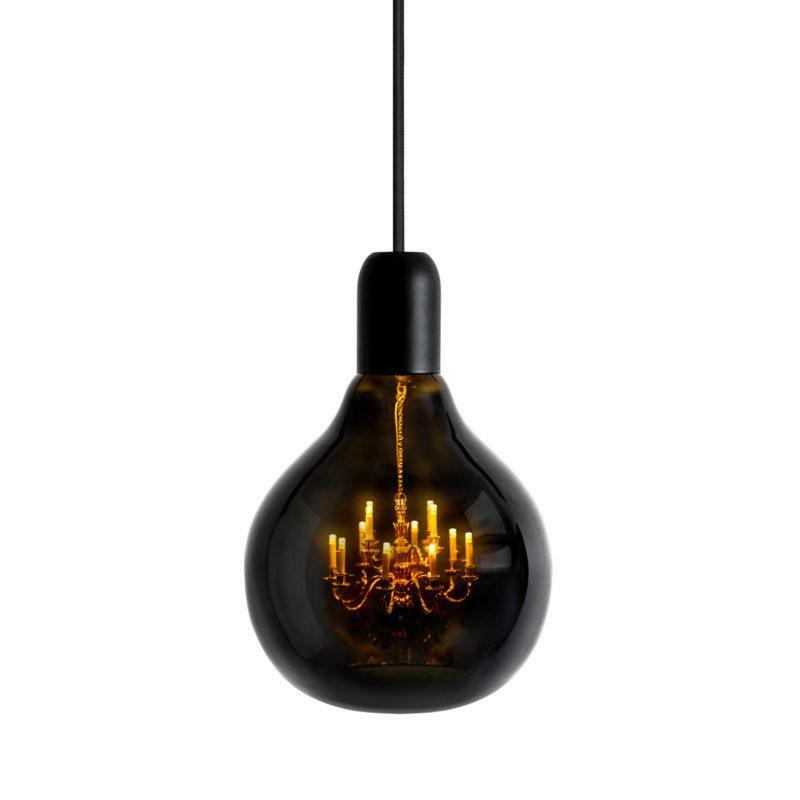 A miniature brass chandelier inside a glass shade. Shipped direct from Mineheart in the UK. 12 volt power supply (transformer included). Supplied with a 2 meter braided cable and custom LED bulbs. Colour matching Ceiling rose supplied.